You'll be £19.99 closer to your next £10.00 credit when you purchase In the Mind's Eye. What's this? Since 1915 St Dunstan's has helped thousands of war-blinded veterans to rejoin society and live their lives to the full. 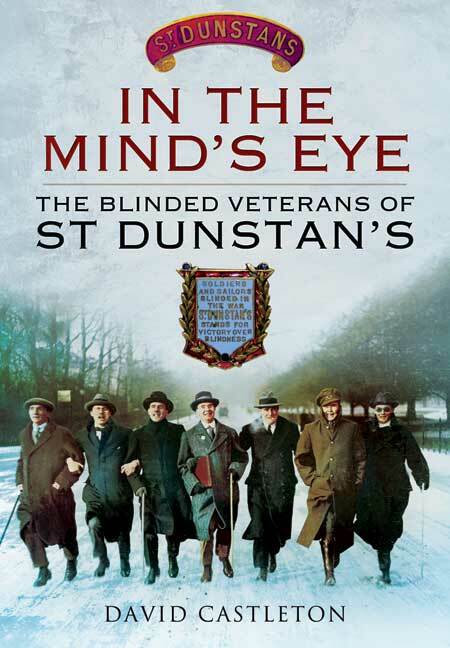 This compelling book includes new research from the St Dunstan's archive and previously untold stories of the men and women, both blind and sighted, involved in the charity during the First and Second World Wars. St Dunstan's was founded by Sir Arthur Pearson, a blind press baron determined to prove that the blind could make a valuable contribution to society. Far from being dismissed as invalids like earlier veterans, early St Dunstaners played football against Arsenal; learned to read braille, type, row and even shoot; and trained for new careers as masseurs, carpenters, switchboard operators and gardeners. As PR officer of the charity for 33 years, David Castleton worked with many of the men and women whose stories he tells in this book, and provides a unique insight into their achievements. Meet irrepressible Tommy Milligan, who lost his sight just months after enlisting on his eighteenth birthday, and 'blind young giant' Ian Fraser who became head of St Dunstan's. blinded and losing both hands. David Bell too, lost both his hands and sight in a North African mine-field, yet found hope and a wife at St Dunstan's. The organisation allowed women during the Second World War, including 22-year-old Gwen Obern, blinded and maimed in a factory accident but later famed for her singing, and ATS sergeant Barbara Bell who became a top physiotherapist. Today, as Blind Veterans UK, the charity still assists thousands of blinded servicemen and women, and the legacy of the war-blinded lives on. As seen in Discover Your History magazine and Britain At War Magazine. This book provides a history of St Dunstan's, focusing on the two World Wars and the inter-war period ... The Book paints a picture of a successful, innovative organisation that played an important part in creating a new attitude to the blind. A heart-rending story of rehabilitating blinded service men and women since 1914. David Castleton spent most of his working life as PR Officer of St Dunstan’s (now Blind Veterans UK). He joined in 1960 and retired after 33 years of complete enjoyment in his job. David previously worked for The Times, as well as Stafford Picton Public Relations, and also served as ground crew for the RAF. At St Dunstan's, he found working with and for war-blinded ex-service men and women inspirational and exciting. He still numbers many friends among these people and this led him to write In the Mind’s Eye.